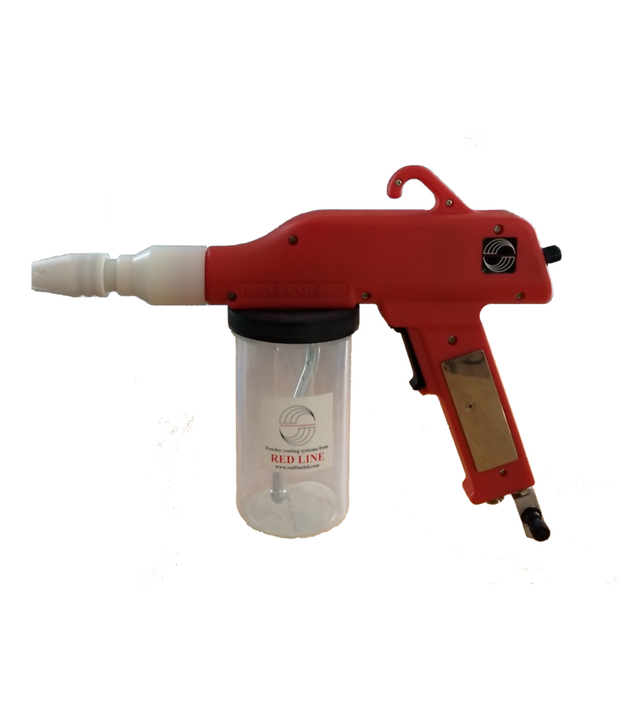 The Red line EZ50 is light weight and perfectly balanced gun for optimum comfort and it works just like a professional fluidized hopper gun costing hundreds more. It shoots any type of powder with ease including Chromes, Metallic’s and Textures and with its built-in automatic air control, there are never any sudden powder surges or clumps. That means no gun mods or hacks are necessary on your part to make the gun work correctly. With some other brand guns, you actually have to do things like drill holes into it before you use it just to get a decent powder flow. With the Red line EZ50 all you do is plug it in, add powder and air and you’re ready to go. In fact one of the nicest features of this gun is its smooth and accurate powder control. With a simple twist of a knob you can adjust Kilo-volts (Kv)Amperage and powder flow all the way from a whisper-thin stream to a full on category 5 storm cloud of powder. because Red line powder coat machines have all the electronics and air controls built right into the gun. They also come with an extra-long 10’ cord and grounding cable allowing you to reach 60% farther than any other brand machine. And with the EZ50, you’re not limited to just coating small parts you can literally coat and re-coat any size part in any shape and made of any material. It doesn’t matter if they’re flat, round, or complex… metal, wood, glass, or plastic; Red line guns can handle them all. 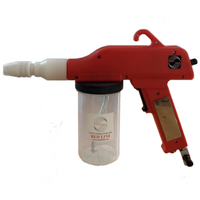 All Red line guns come standard with both round and flat spray pattern nozzles and a wide assortment of different size deflector tips for an end combinations of spray patterns. Color changes are fast and easy too with the Redline Ez50 system. All it takes is a quick blast of air to clean out the inside of the gun and you’re ready to shoot a new color in under 1 minute. Each powder cup holds a full pound of powder and screws on or off in less than a second. When it comes to warranty, no one covers you better than Red line and PowderCoatPro. Your gun will be backed by our exclusive 1 year repair or replacement warranty. 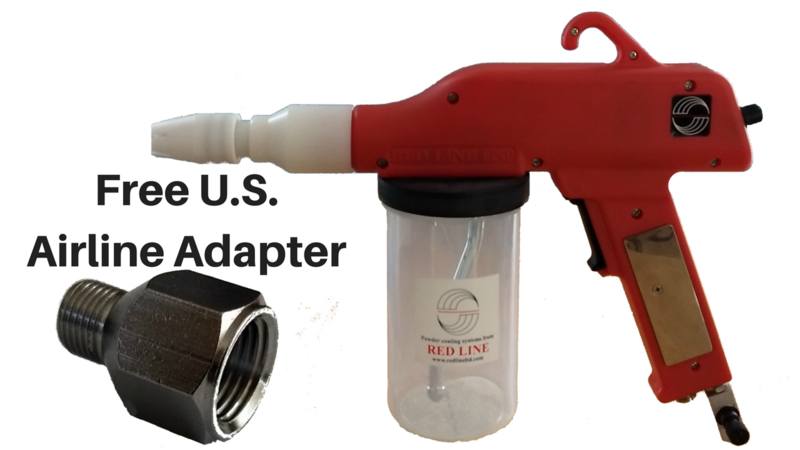 If for any reason your Red line gun should fail to work during the 1st year simply send it back to our aftercare service center for free repair or replacement. See full warranty for more details. Orders are generally shipped FREE the same day they are received by Priority Mail from the US Postal Service.